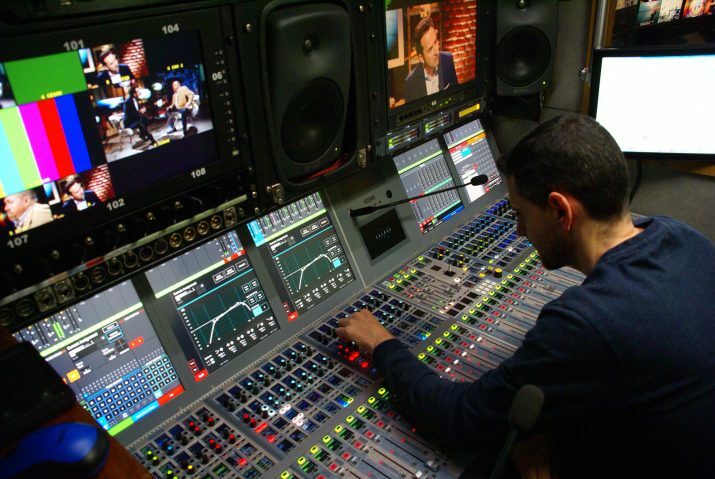 Madrid-based Tilt has acquired a 48-fader Artemis Light console from Calrec for its UM003HD mobile production unit. Tilt’s business has grown considerably in the past year as it works with a variety of customers in live production across sports, music events, commercials and documentaries. The Artemis Light, which is the company’s first Calrec console, replaced an older console inside the expandable 16-camera, 12-meter rigid truck. It was installed by Tilt and supplied by Calrec’s Spanish distributor, COEL Audio Solutions. Jaume Bordoy, Manager at Tilt said he has always been aware of Calrec’s excellent reputation in the industry, with its consoles providing stellar sound quality and technically elegant and comprehensive functionality like multi-format audio and loudness management. Tilt has to be ready for any kind of content, from the Copa Del Ray and the Champions League to swimming and horse racing, political debates to music festivals. Therefore, it needed something with good cross-point remote control to reduce cabling and rigging. Calrec’s Hydra2 networking capabilities take care of this and also allow signals to be transported over Riedel’s MediorNet real-time media network. The Artemis can work across formats – MADI, Dante, AES67 and more – vital to the company given the huge variety of its work. Tilt uses AES67 to interface with its Riedel Artist intercom system.